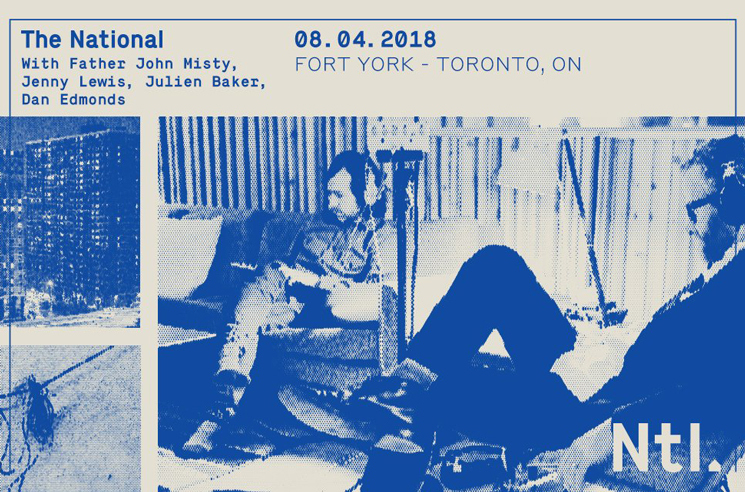 No strangers to playing outdoors at Toronto's historic Fort York, the National are set to return to venue with some special guests for a stacked one-off show this summer. Set to take place on August 4, the National will be joined by Father John Misty, Jenny Lewis, Julien Baker and Dan Edmonds. General admission and VIP tickets for the show go on sale February 16 at 12 p.m. local time, both online and in person at Rotate This, Soundscapes and the Horseshoe Tavern. The National have partnered with PLUS1 to donate $1 from every ticket to Partners in Health Canada. Three of the five acts on the bill delivered new albums last year, with the National releasing Sleep Well Beast, Father John Misty sharing Pure Comedy and Julien Baker releasing Turn Out the Lights.